Friday again and the weekend just around the corner. There will be new products and some stunning samples too. We hope you enjoy the shows. 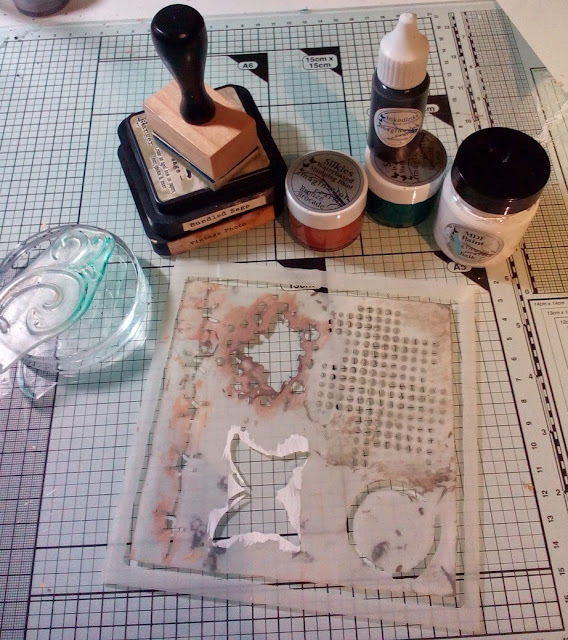 Today our tutorial is by Mags, using vellum! 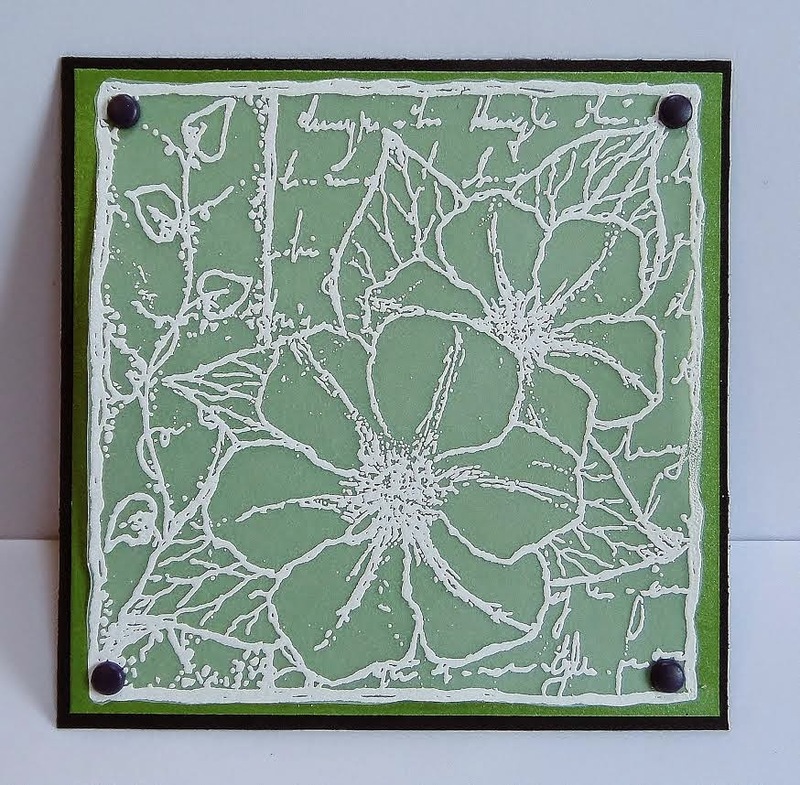 Quick and simple card by stamping the images and embossing onto vellum. 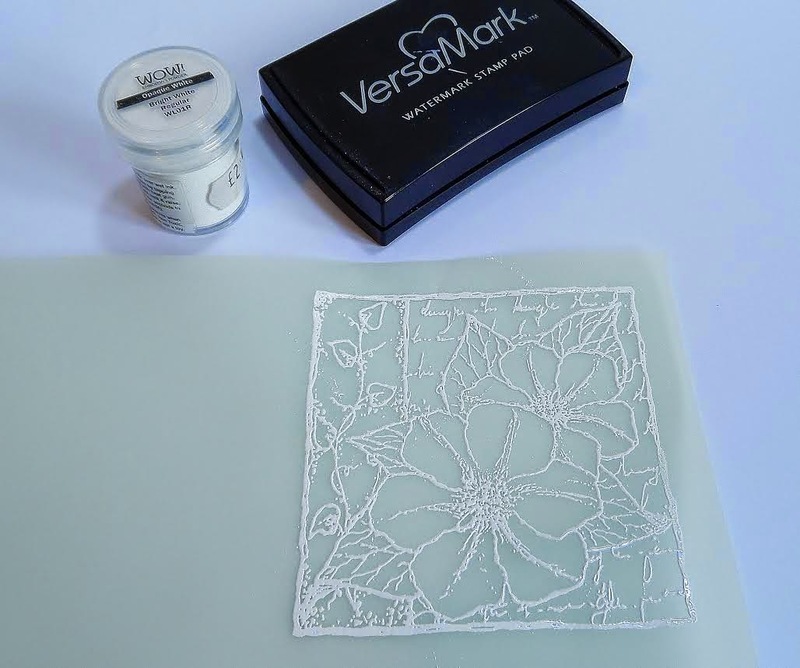 Stamp the image onto vellum using Versamark and then emboss using embossing powder. 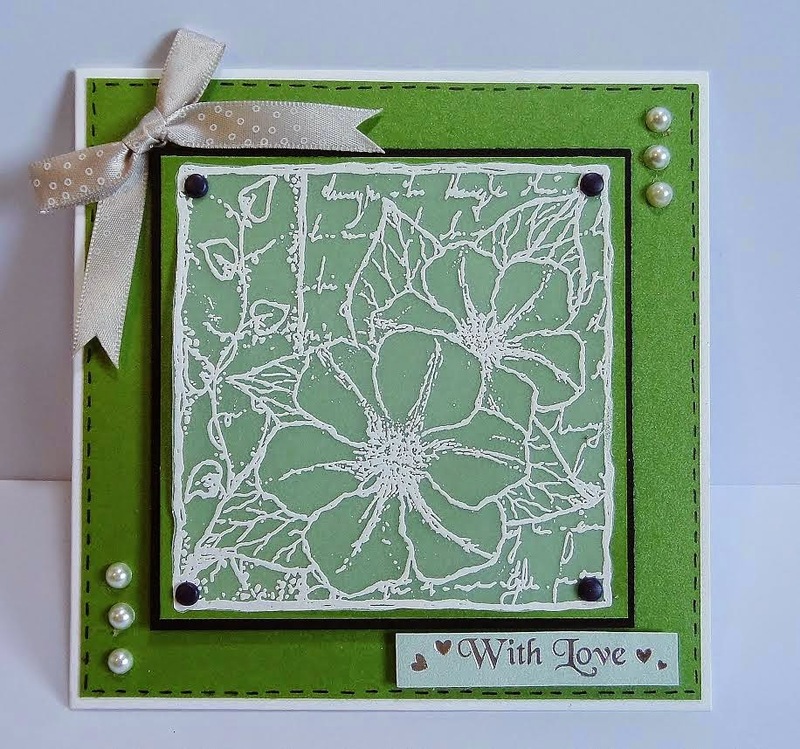 WOW Embossing powder has been used on this project but any brand or colour will do dependant on the look you want to achieve. 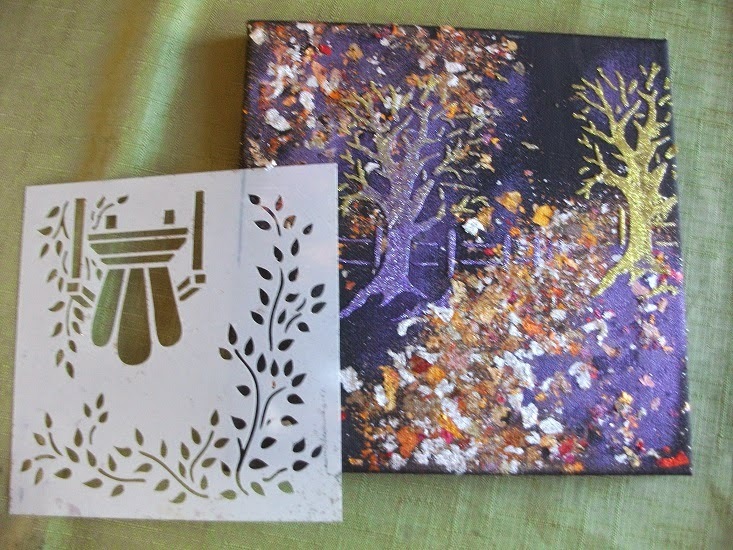 Cut out the image and attach to pearlescent card and black card with brads. 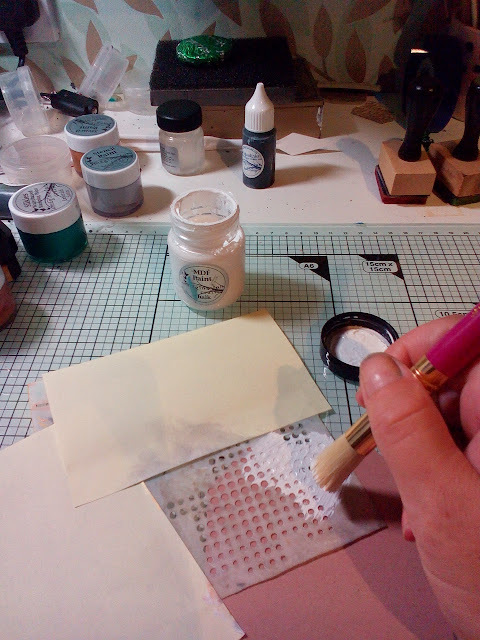 Attach the topper to another piece of pearlescent card and mount onto a 5 x 5 card blank. Add a bow, sentiment and some pearls. 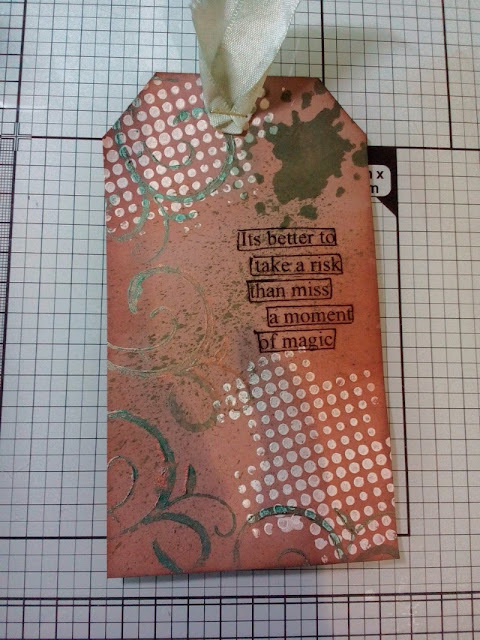 It is such a quick card to make a set would take no time to make. Sue will be on Create and Craft tomorrow at the following times. She will be on with Dean, Martyn and Dave so we are in for some entertainment and fabulous demonstrations. 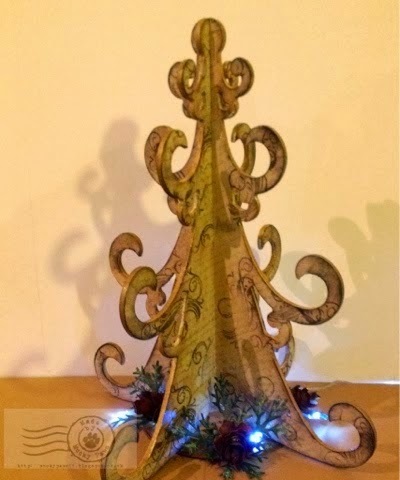 One of the new products on the show is a beautiful MDF Christmas Tree designed by Kath Halstead (aka Mucky Paws). 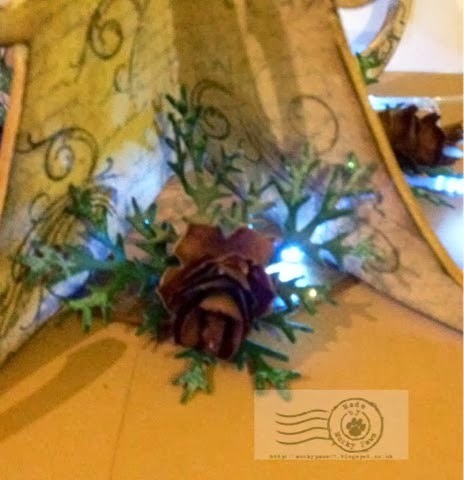 Here is a couple of photographs of the tree Kath decorated last year. Thank you for stopping by and we hope you enjoy the shows. We hope you are all keeping well and enjoying your crafting time. 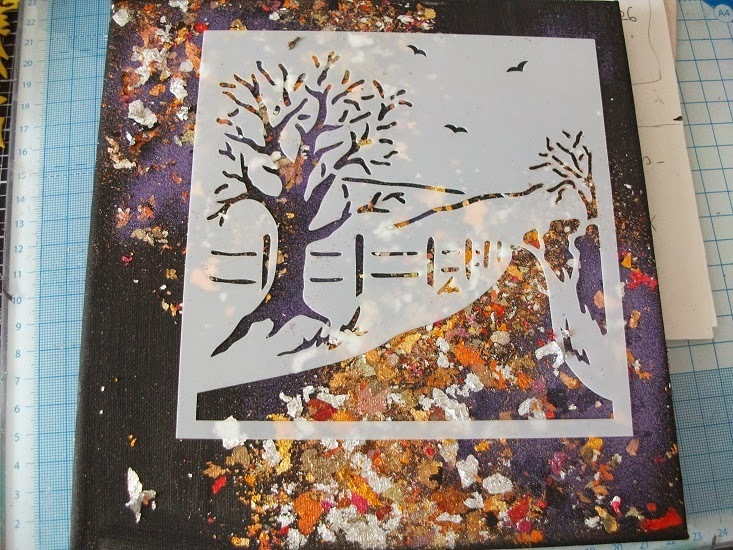 We have a beautiful canvas tutorial from Christine to share with you today. 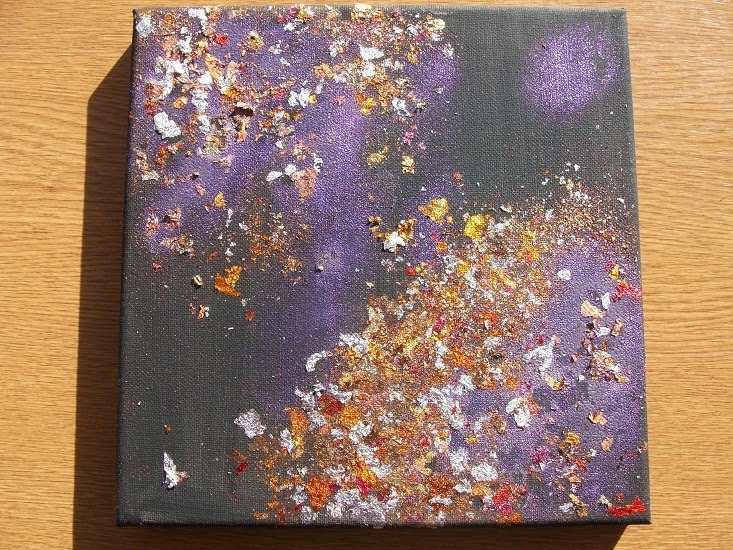 Paint a canvas with black paint, add some glue and gilding flakes to the canvas in various places. 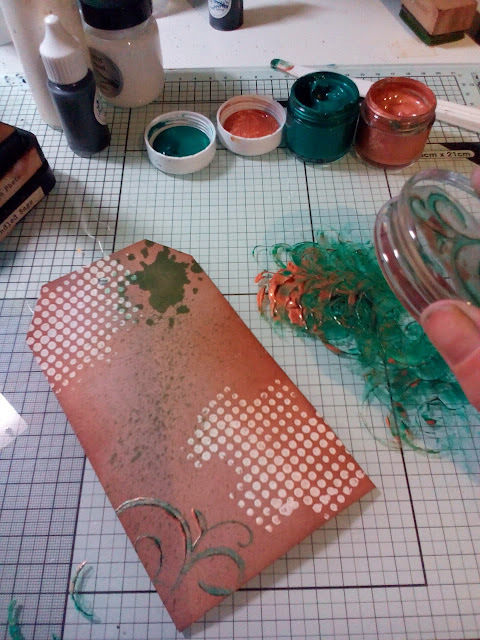 Add some purple embossing powders to add extra colour. 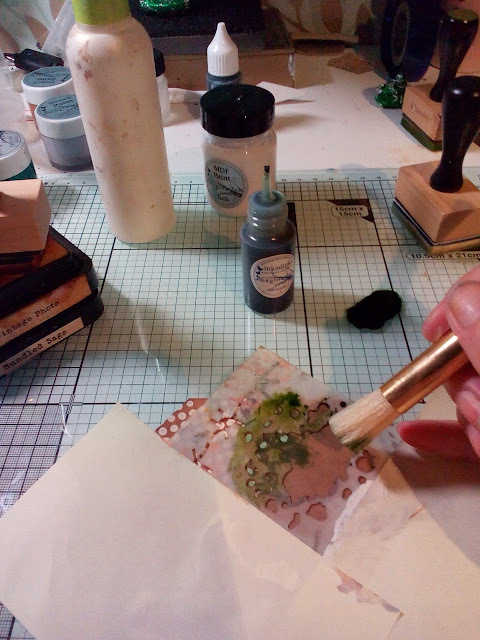 Spread Sparkle Medium using the Field View Stencil onto the middle of the canvas using Diamond Quartz and Chartreuse Sparkle Medium. Add another tree on the right using just Chartreuse. Stencil the leaves from the Garden Chair Stencil onto the left hand side of the canvas using only Chartreuse Medium. 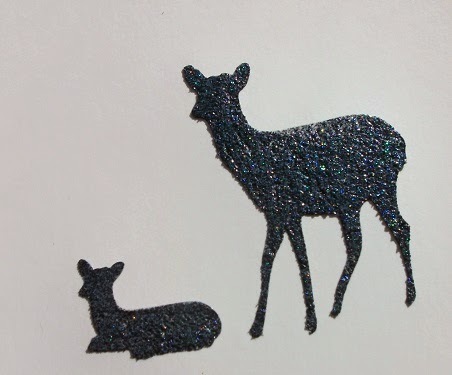 Stencil just the deer from the Stencil Forest Deer with Black Stars Sparkle Medium onto card. 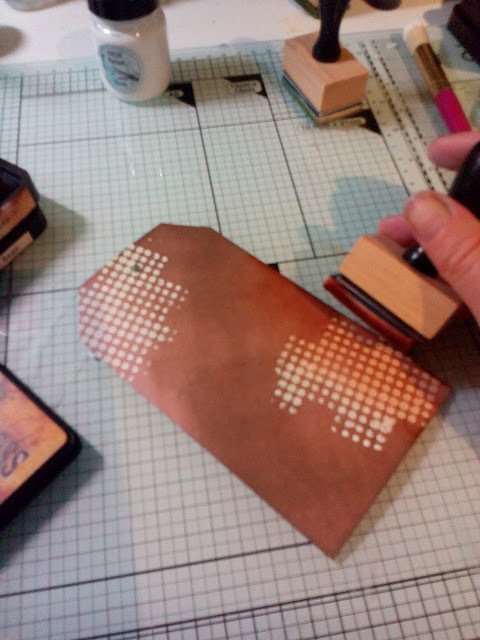 Top Tip - heat the Black Stars Sparkle Medium with a heat gun until it bubbles - take the Heat Gun away slowly and the Sparkle Medium will stay slightly raised. Also colour around the Deer when dry before you cut them out to leave an outline. This will make the Deer more noticable on the canvas. 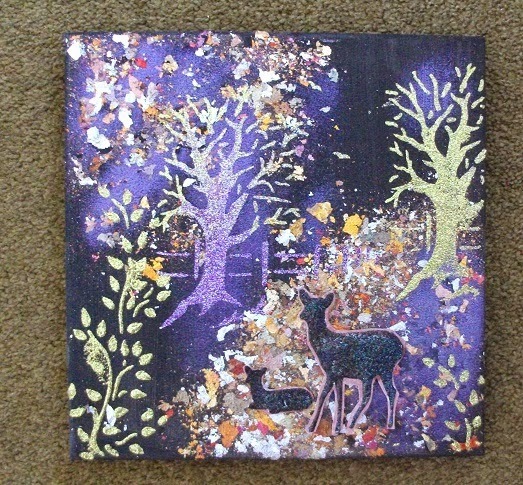 Stick the Deer to the canvas with double sided tape to make it stand out. 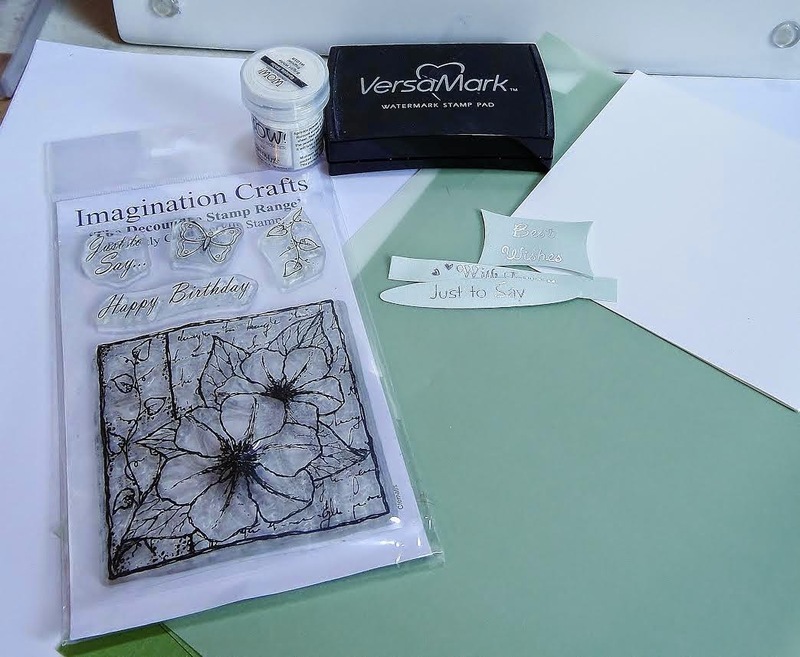 We hope you have enjoyed the tutorial, please share with us your creations using Imagination Crafts Products. 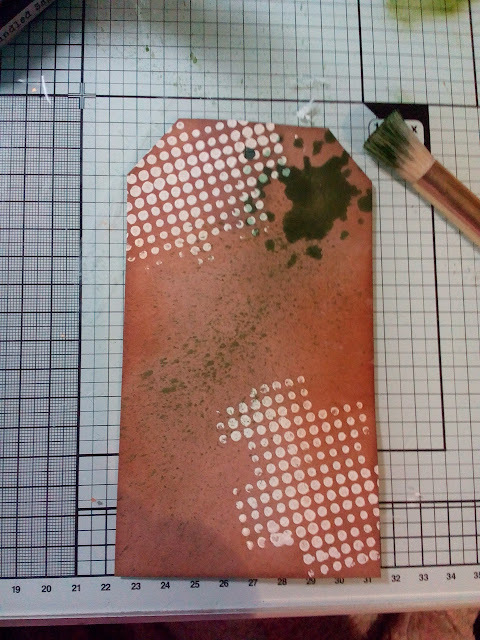 Stencil the halftone pattern in a couple of random places, dry thoroughly. colour the tag try and use a darker colour around the edge to frame it. Take a bit of kitchen roll and lightly spritz with water and wipe over the dots, the paint resists so you have nice white dots again.